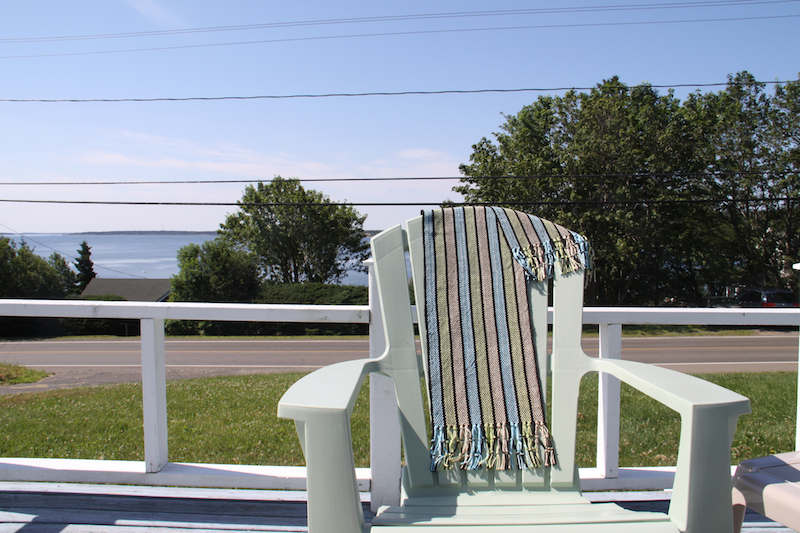 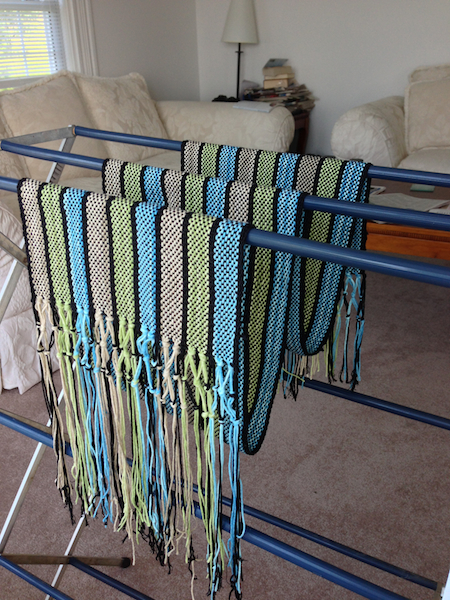 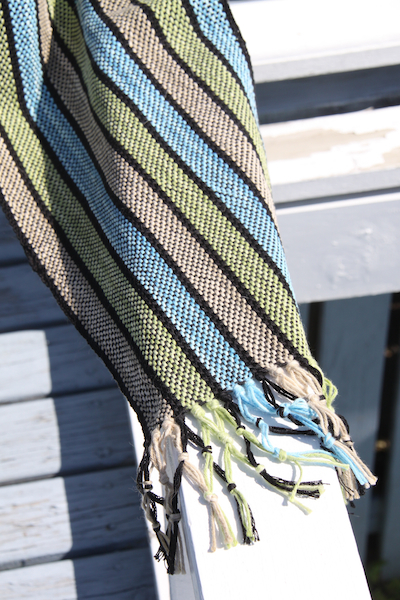 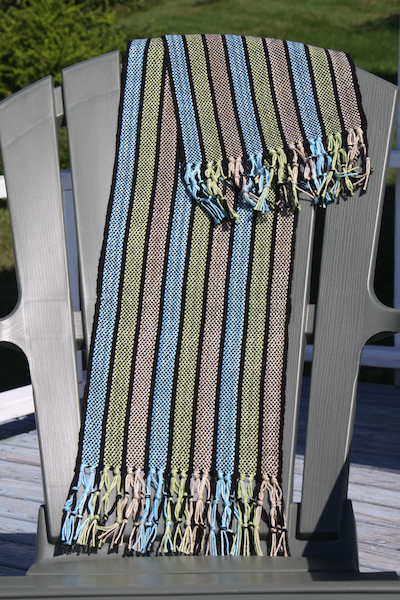 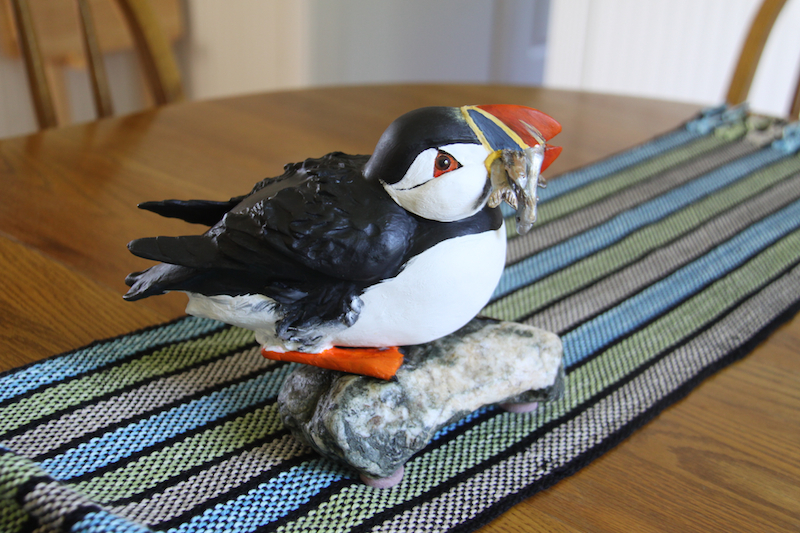 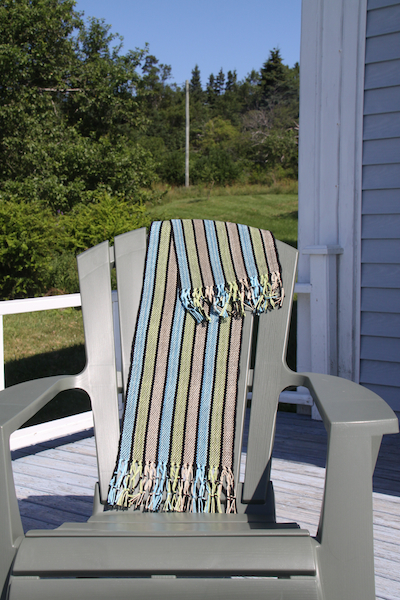 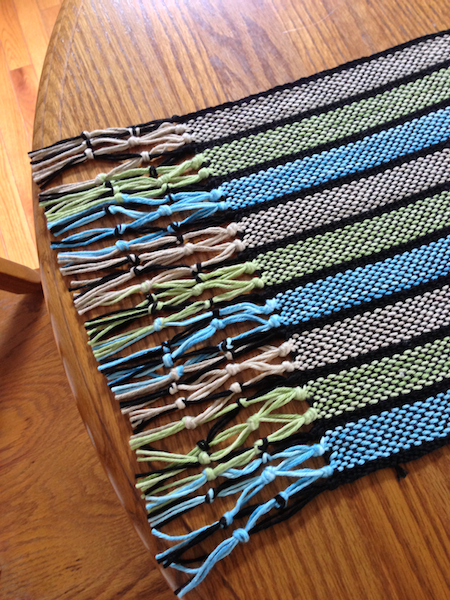 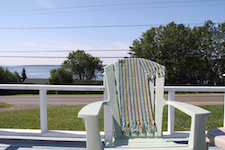 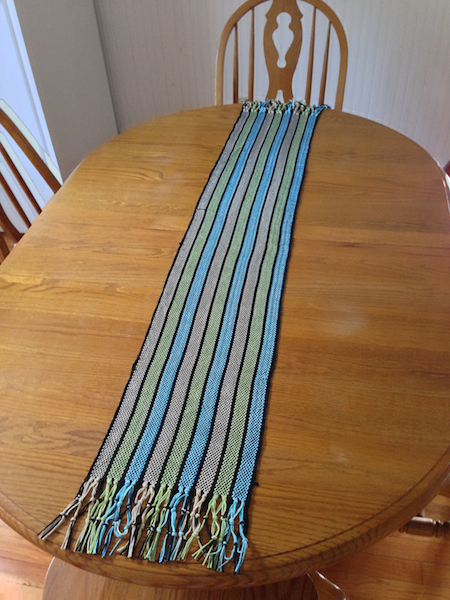 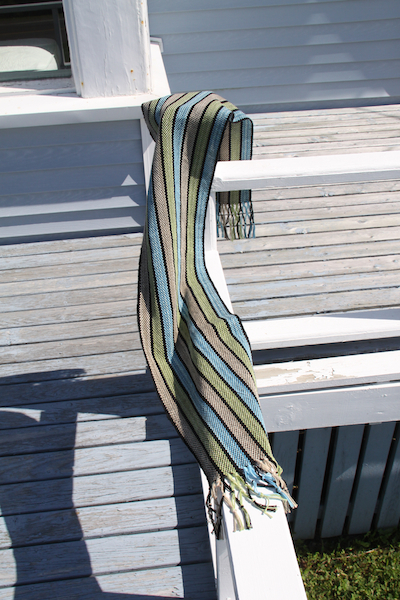 This is my second weaving project on a rigid heddle loom (Schacht Flip, 15"; used 10 dent reed). 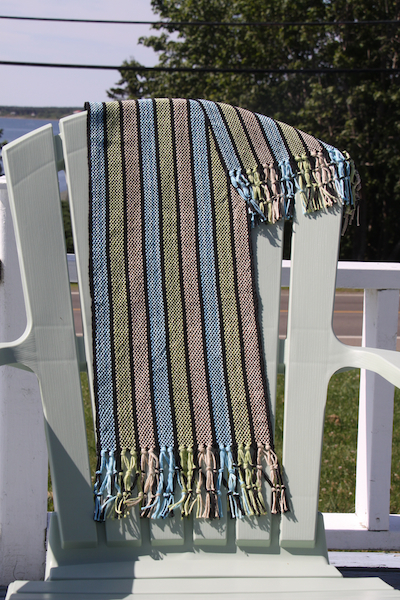 Selvedge is much better than first rigid heddle project -- having learned to explicitly bring the heddle/reed back up to neutral before beating the warp (which happens naturally from the "up" position, but not so naturally from the "down" position). 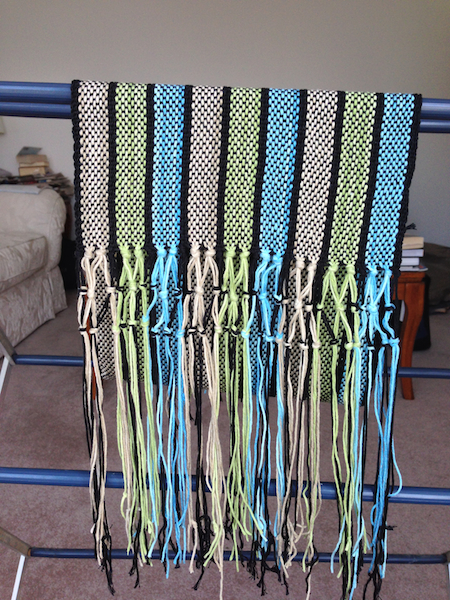 I had a choice between black weft (used) or white. 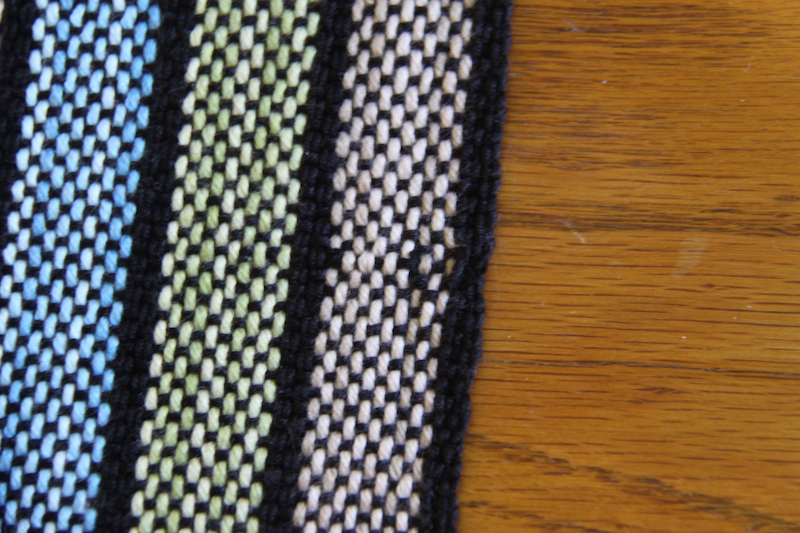 White would have been more subtle, but I figured it would also wipe out the colours. 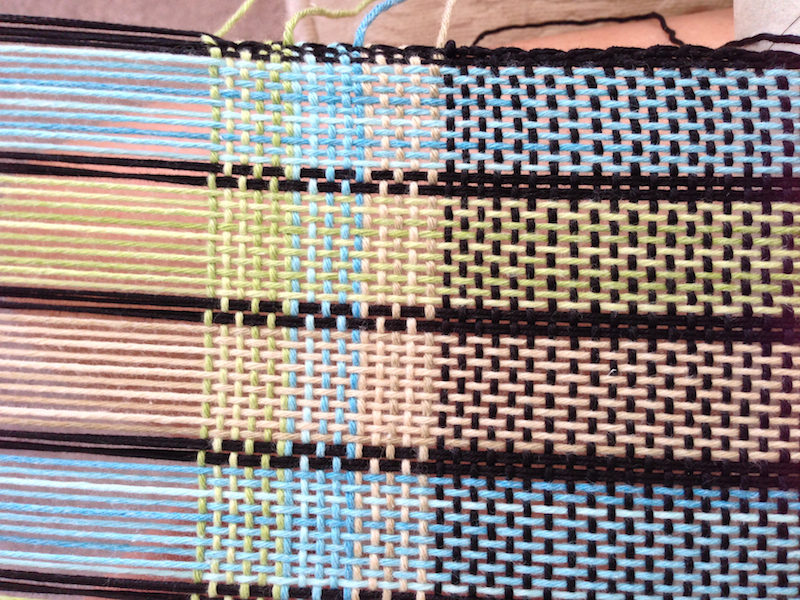 The black enhances their vibrancy. 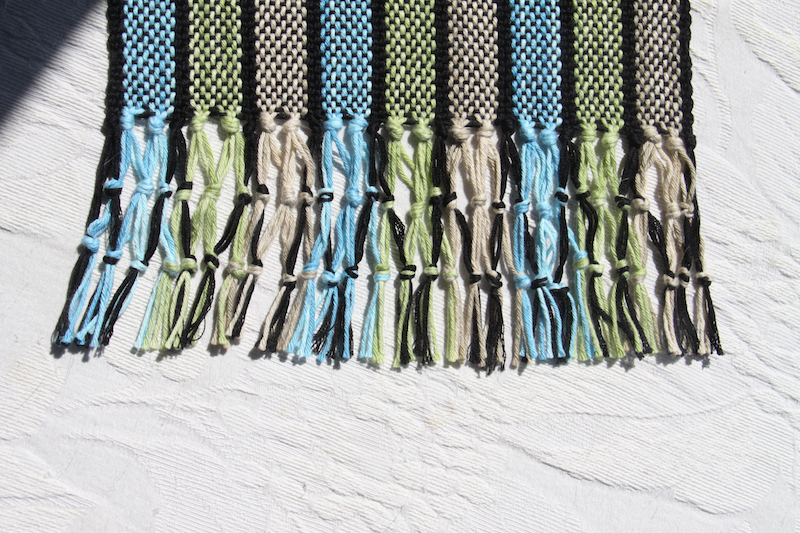 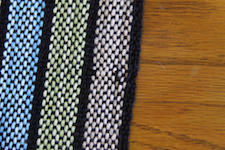 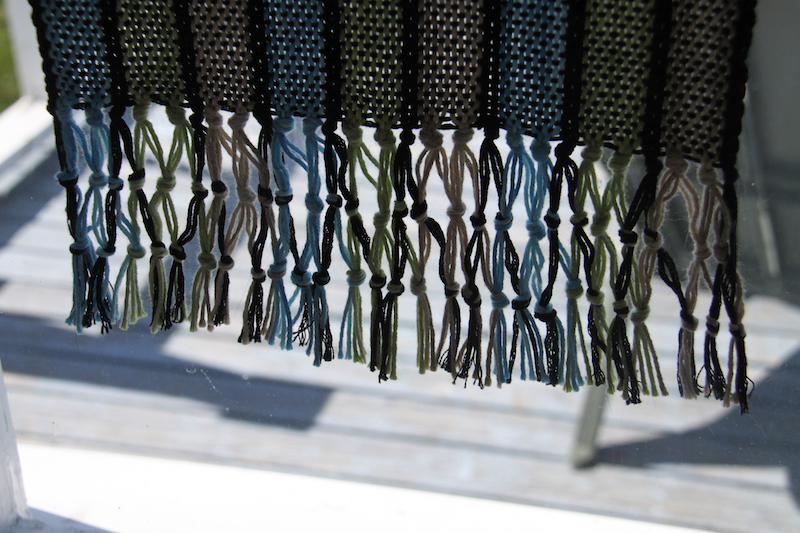 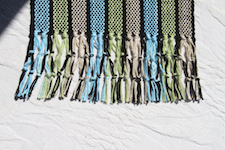 Close up of fixed weft skipp (not perfect, but better than 3 colour floats). 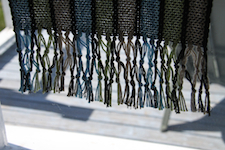 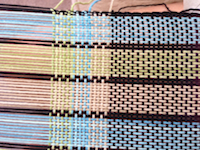 On the loom -- with alternative wefts (each of the warp colours) -- note how the same-value warps annihilate the colour impression. 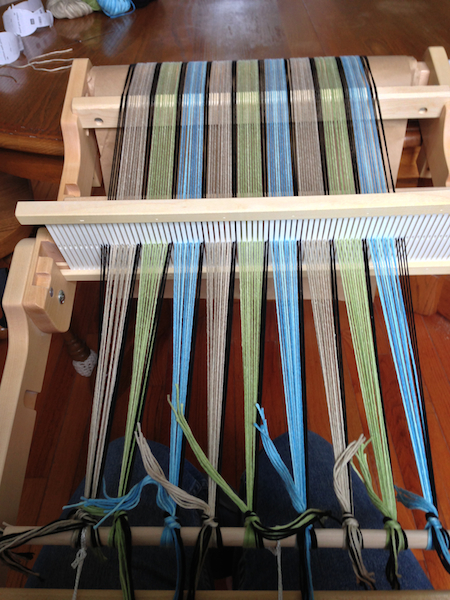 On the loom -- just the warp.